The Proprietor of Subam Lodge. Mr. C. Ravi - A unique one of its kind in its own way gives you a lifestyle of luxury and the unequalled comfort. 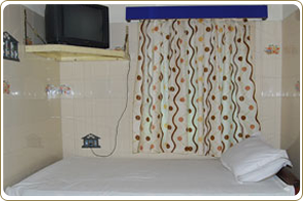 We have great pleasure in introducing ourselves as one of the well-maintained lodge at Vaitheeswaran Koil., Tamil Nadu. The landmark of the Lodge is the Sri Vaitheeshwaran Temple (West way) Mr. C. Ravi has come up in life with great struggles and immense hard work man ship has more than 5 decades of experience in the field of Hospitality service. His sheer hard work and determination in his life and his ambition to grow into a successful businessman has paid its price in the form of SUBAM LODGE.